The Perth Mint unveiled this week its bullion suite of gold, silver and platinum coins for 2019. Intended for investors and historically popular with collectors, coins include the signature Australian Kangaroo, Kookaburra and Koala series themes. Then there are Australian Lunar Series II coins celebrating the Year of the Pig. "Our bullion coin program has evolved over the last 30 years, allowing investors access to gold, silver and platinum coins in weights ranging from 1/20 ounce to 10 kilograms," said Perth Mint Chief Executive Officer Richard Hayes. "Annual design changes and select mintages on certain offerings ensure the range remains fresh and highly desirable." 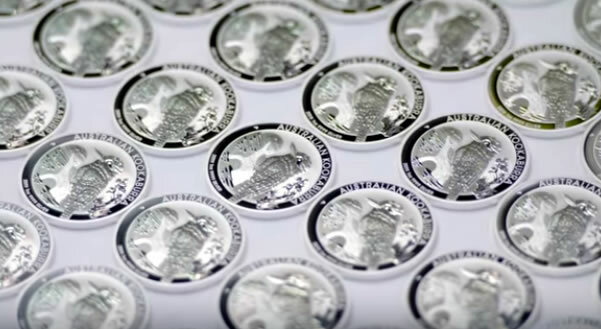 As has become traditional, The Perth Mint is staggering their release of the 2019-dated bullion coins. Lunar Year of the Pig coins in gold and silver are already available, having been released Sept. 10, 2018. These coins conclude The Perth Mint’s second Lunar series. A third series will complement the Mint’s Lunar program in 2020. 2019 Australian Kookaburra silver coins are set to launch on Oct. 1, 2018. 2019 Australian Kangaroo coins will follow on Nov. 5, 2018. 2019 Australian Koala coins will debut on Jan. 7, 2019. In celebration of the reign of Her Majesty Queen Elizabeth II, the obverse of the Kangaroo, Kookaburra and Koala coins will feature an adaptation of one of the latest portraits of Her Royal Highness, designed by English engraver Jody Clark. All program coins are guaranteed for their weight and purity. Perth Mint bullion coins are sold online at perthmintbullion.com and are also available around the world from leading bullion coin dealers. It seems like there is a fair amount of criticism about not being able to buy this coin and other low mintage issues. Next time, be ready. 1. Close all programs except web browser. 2. Log in to the US Mint website. Maybe sure your information is already in the Mint’s system. 3. Go to the coin page. 4. Have credit card ready. 5. One minute until the start time, refresh the web page every 5 seconds. 6. One you see an “Add to Cart”, click and pay. Obvious suggestion, don’t wait for the US mint to send a reminder. Sent an alarm clock.